How Lou Sees It: Pagoda is a Tiered Tower of Fun for Two! 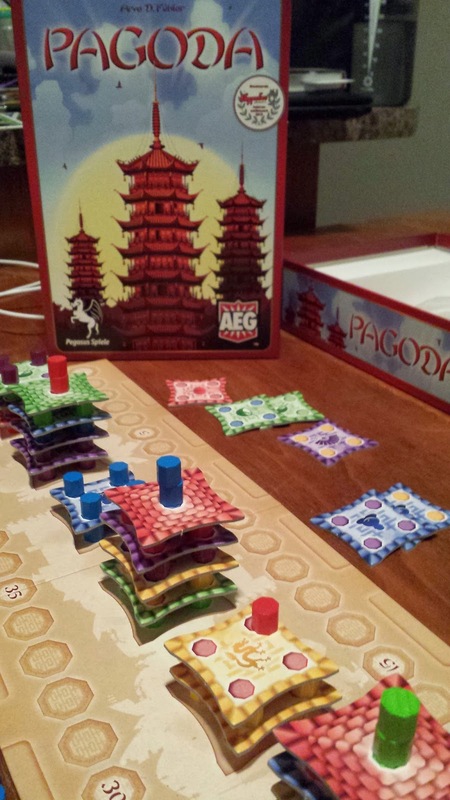 I take a look at Pagoda from AEG. This is such a fantastic game, and the best two player game that I was introduced to during 2014. I am always looking for great two player games or games that play well with just two players. This one is definitely one to add to your gaming library if you find yourself playing with just two players frequently. The quality of the components are top notch and colorful, not to mention that you are building three dimensional pagodas! This building element of the game is very fun and the game play provides just enough meat to it to be interesting as a strategic game, but it is simple and provides some luck elements that balance out the game nicely. I would say that Pagoda and Jaipur would be my must own two player games at this point in time and that is How Lou Sees It! I received this review copy of Pagoda from AEG for free for the purpose of this review.